Here’s one for our B-more girls. 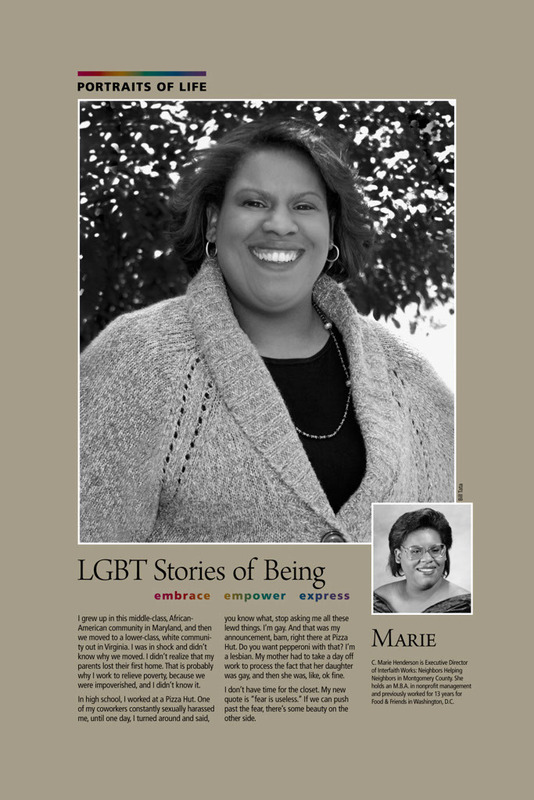 The Montgomery College Arts Institute has a new project titled “Portraits of Life: LGBT Stories of Being”. The project is a photo and written word exhibit portraying LGBT community members who contribute to the quality of life in the Mongtomery County, MD, through their everyday activities. Not in the DMV, you can also check out the online version of the exhibit here.